We had a great turnout on a beautiful fall day. Many enjoyed either the trail ride or the bike infrastructure tour. We celebrated Dunwoody’s first bike repair station, and had a great time during the picnic social at Pernoshal Park. Pernoshal Park Pavilion; Sunday, October 9, 2016 Joe Seconder, and his following of bicycle enthusiasts of the “Bike Walk Dunwoody” started the afternoon events with a 2:00pm with a road ride around 20 miles. 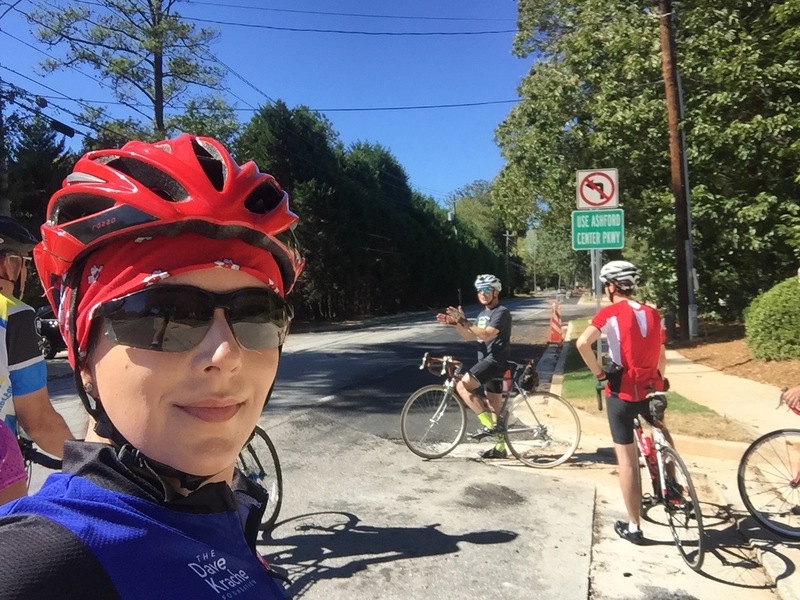 Bikers saw the new and improved bike friendly riding conditions on the roadways in Dunwoody. 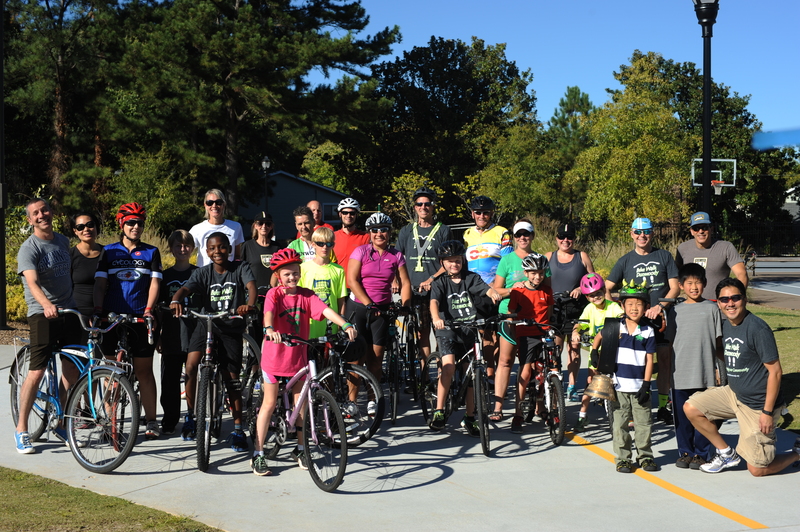 Then at 3:00pm bikers rode on the recently finished Trailway from Chamblee-Dunwoody Road at Pernoshal Road to Brook Run Park. The activities ended with the ribbon cutting ceremony of a Public Bike Repair Station installed on the trail behind the pavilion followed by a Picnic. Everyone who participated. On the Bike Infrastructure Tour. Joe Seconder explains the ongoing Chamblee Dunwoody Complete Street Project, which includes new sidewalks and widening for bike lanes. 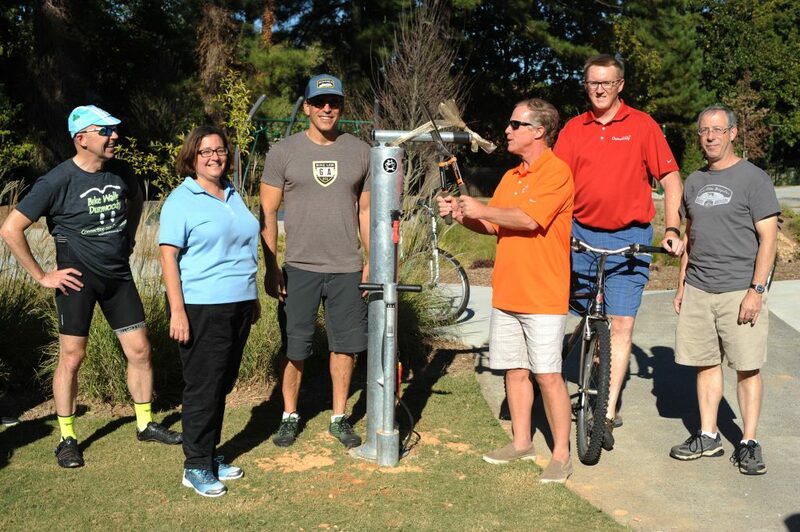 Ribbon cutting ceremony of Dunwoody’s first bike repair station on the trail at Pernoshal Park. Thanks to the generous donations from Bike Law Georgia, the Dunwoody Homeowners Association, and Bike Walk Dunwoody supporters. Pictured left to right: Joe Seconder with Bike Walk Dunwoody, Lynn Deutsch with Dunwoody City Council, Bruce Hagen with Bike Law Georgia, Doug Thompson with Dunwoody City Council, John Heneghan with Dunwoody City Council, and Robert Wittenstein the President of the Dunwoody Homeowners Association. 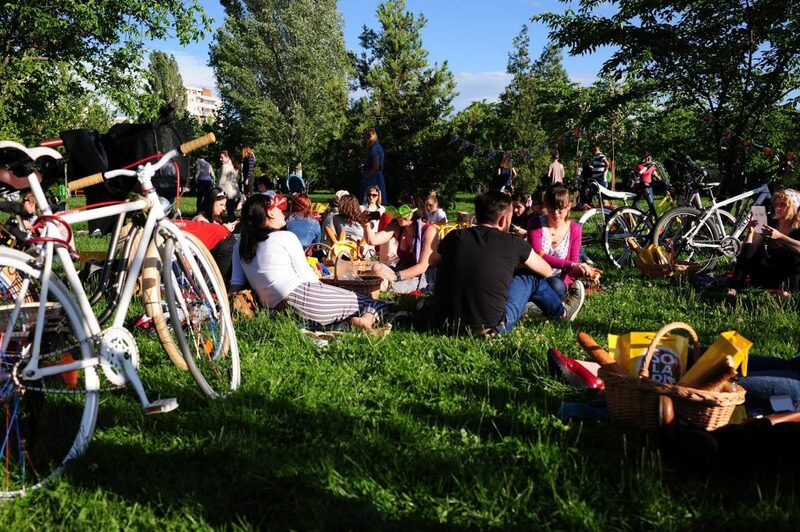 Say hello to your Dunwoody friends and neighbors and enjoy a lovely fall afternoon with a picnic and bike ride. This will be a 100% potluck / BYO Picnic BBQ. We’ll have three different ride options. The rides will end around the same time, so we can enjoy hanging out afterwards for the picnic / social. The event is open and welcome to all “Friends of Bike Walk Dunwoody”. If you support our cause, please join us! Bring your spouse, kids, parents, friends, neighbors, co-workers and anyone else you’d like to invite. 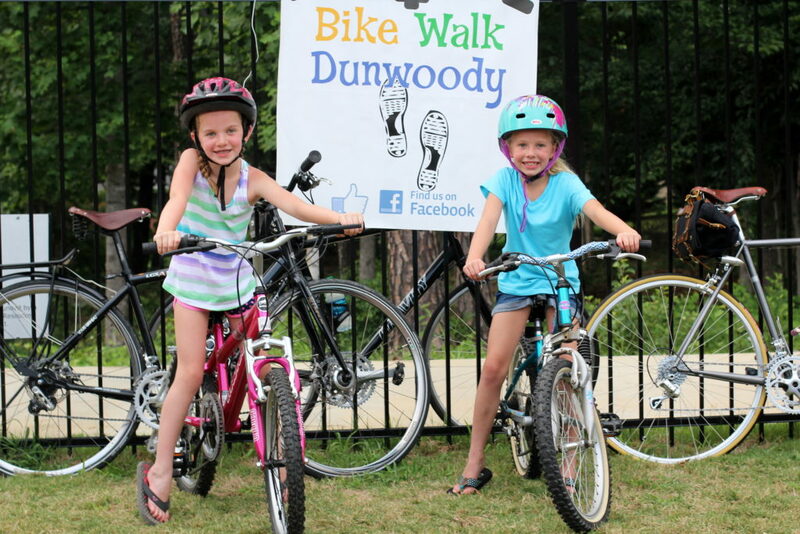 3:00 pm – Trailway bike ride, Ride the Dunwoody Trailway from Chamblee-Dunwoody to Brook Run;- All ages & abilities. Helmet required. 2:30 pm – On-Street Tour of sample bike infrastructure (Bike Lanes, Trails, etc.) — current, proposed and possible. Led by Joe Seconder. Stop at various points and discuss. Note: Must be at least age 18, be comfortable riding on roads, helmet required. 2:00 pm — Full on road ride around 20 – 24 miles. Note: Must be at least age 18, be in road riding condition able to ride at an 16 mph average, comfortable riding on roads, helmet required. 1:00 pm — Setup. Volunteers needed to help set up the area. 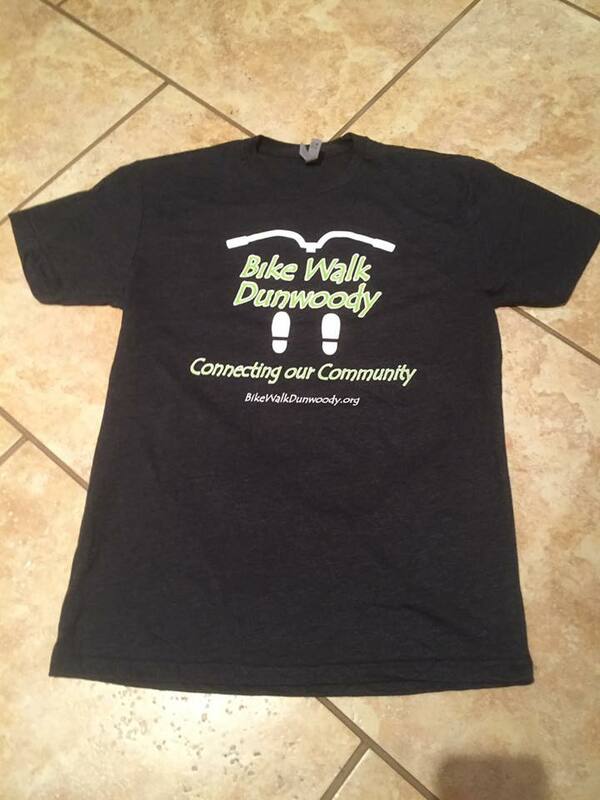 We will kindly ask for donations to offset the rental costs and to help support the efforts of Bike Walk Dunwoody.